Can you still experience the mental benefits of meditation if you meditate without a teacher? A lot of people like to meditate alone with apps to guide them or by reading books on the topic. This is how I started my journey with meditation. However, going it alone is not always trouble free. As a beginner without a real life teacher it’s easy to build up misconceptions which can hinder the mental benefits of meditation. For example, I believed that meditation was about achieving an empty mind. When I did find myself thinking, which was often, I would attempt to push my thoughts away and get frustrated that they were there. I didn’t know what to do with them and mistakenly believed that if they were there I wasn’t ‘doing meditation right’. I also believed that you had to sit in lotus pose with your back unsupported, not moving a muscle, because this is how you’re ‘supposed’ to meditate. In 2016 I took a Jungle Healing Thai Massage course with Marek to learn how to be a Thai Massage practitioner. Marek would always start each session with Buddhist meditation and chanting meditation. In these sessions I realised that I had come as far as I was able to by practising meditation without a teacher. I often found, despite my best efforts to remain focused on my breath, thoughts would come into my mind and distract me. Marek referred to this as ‘monkey mind’ which is a Buddhist term meaning unsettled, restless or uncontrollable. This is natural, he confirmed. Marek also confirmed that you cannot empty your mind of thoughts. Meditation is not about the absence of thought but rather stopping your thoughts from controlling you. Attempting to empty your mind and pressurising yourself to achieve this can actually negate the mental health benefits of meditation. So how can we still our monkey mind? Marek provided me with an answer. Use a labelling technique to help you stop the thought or sound in its tracks by observing it without judgment. When a thought pops into your head such as: ‘What was that thing I needed to do this afternoon?’ label it as ‘thinking’ and return to your breath. When you hear your cat meowing by the front door label is as ‘sound’ and return to your breath. When you feel an emotion such as anxiety or annoyance, label the emotion as ‘feeling’ and return to your breath. The more you do this, the more you notice where your mind goes. Therefore, the easier it becomes to break patterns that don’t serve you outside of meditation. If like me you feel compelled to plan a lot as a coping mechanism for anxiety, this can easily take you out of the present moment. Whatever task you’re working on is suddenly disrupted by plans for something else. This can induce feelings of stress and panic about what you feel you need to achieve. Instead of allowing your mind to continue planning, try labelling the thought and carry on with your current task. After you’ve done this perhaps you might schedule ‘worry time’ for later in the day. This is where you either talk through or write down your worries at a time designated by you. The next step is to process your worries and work out ways of dealing with each, one step and one worry at a time. When we sat to meditate at the beginning of each Thai Massage course session we could choose the position we were most comfortable in. We could choose to use the wall to support our backs. We could choose to sit on bolsters. We could choose to have our knees supported by bolsters. Marek helped me realise that there was no ‘wrong’ way to sit when you meditate. There is plenty of research out there that states the mental health benefits of meditation; such as stress reduction, decreased anxiety and enhanced self-awareness. However, to get to the point where you wholly feel the mental health benefits of meditation I believe in seeking the support of an experienced teacher. I’m not saying you can’t meditate alone or try that great sounding app or read that five star rated book; but each person’s relationship with themselves is different. The way each person experiences a mental health difficulty is different. Learning from and interacting with a teacher ensures you can discuss concerns specific to you rather than accessing information that speaks to many. 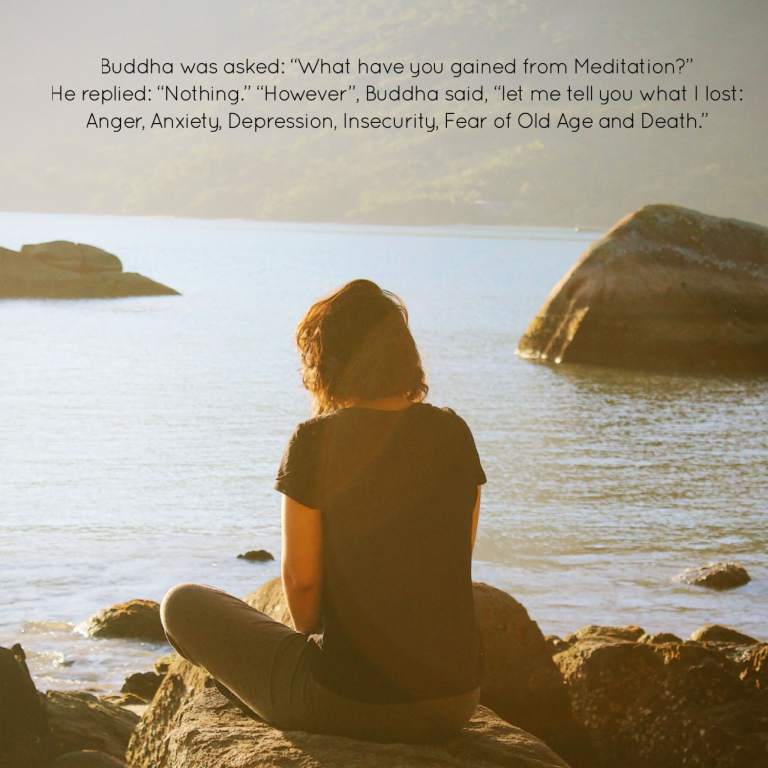 As Buddha once said, ‘Every morning we are born again. What we do today is what matters most.’ So why not book a meditation class near you today to help you take the next step on your personal journey? PS: Look no further for meditation classes in Crawley. Join experienced practitioner Vick Storrm for his meditation classes on Tuesday evenings between 7-8 pm at Jungle Healing Studio. Click here to book one off classes or pass bundles!